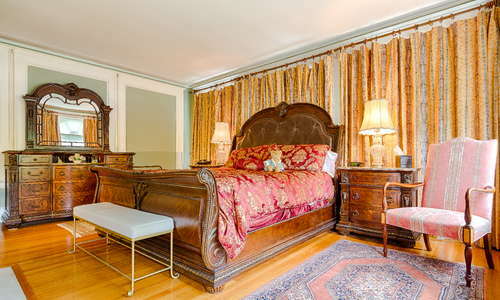 The cozy B&B was built in 1912 as the summer cottage for Harley Procter of the Procter and Gamble empire. 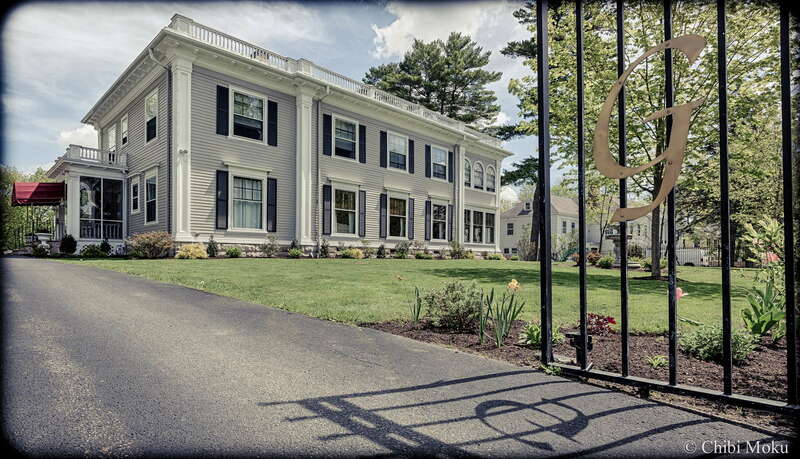 There are 11 rooms in the century-old home that is said to have been designed to resemble an old-fashioned block of Ivory Soap. 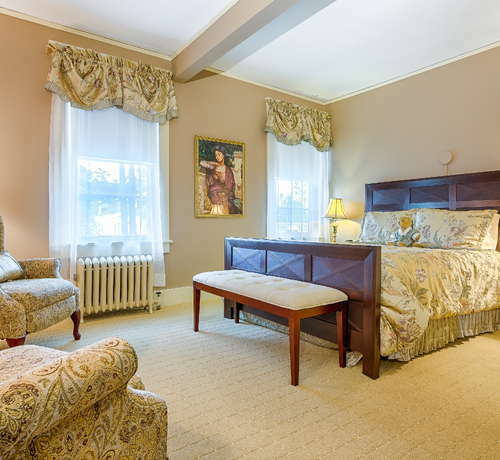 Guest rooms retain period details with updated comforts such as overstuffed beds. Have breakfast in the same nook that Norman Rockwell used to frequent when working on illustrations for the Saturday Evening Post. There's also a welcoming lounge that doubles as a piano bar on weekends and summer evenings. 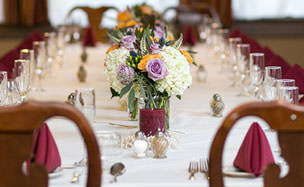 The inn can be reserved for weddings or special occasions. Other packages, including cooking classes, are available with advanced notice. 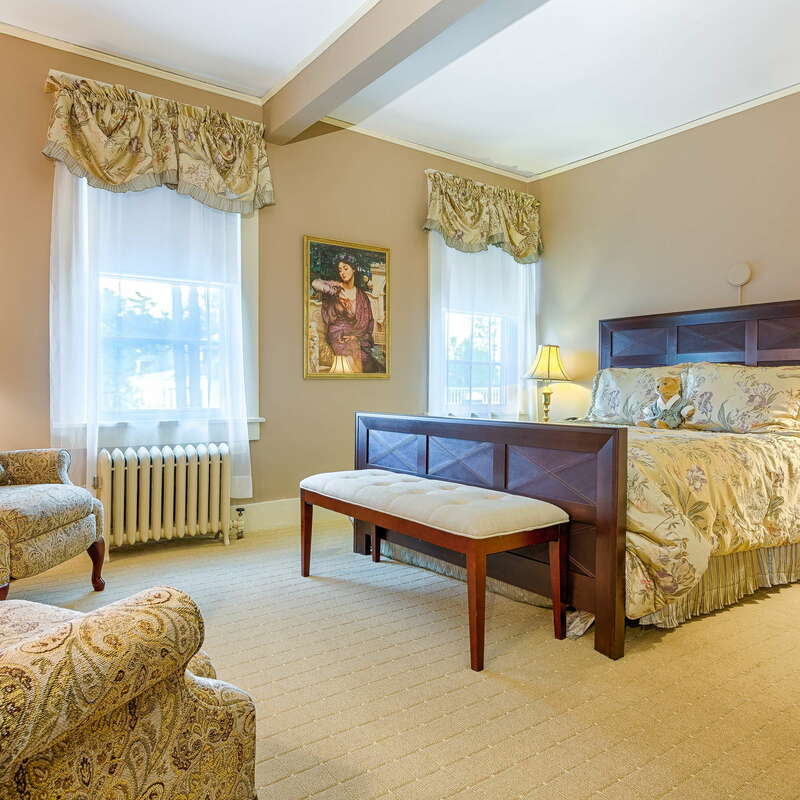 The Inn offers nine rooms and two suites, all named after Shakespeare characters (which were named with input from actors of the nearby Shakespeare Theatre). 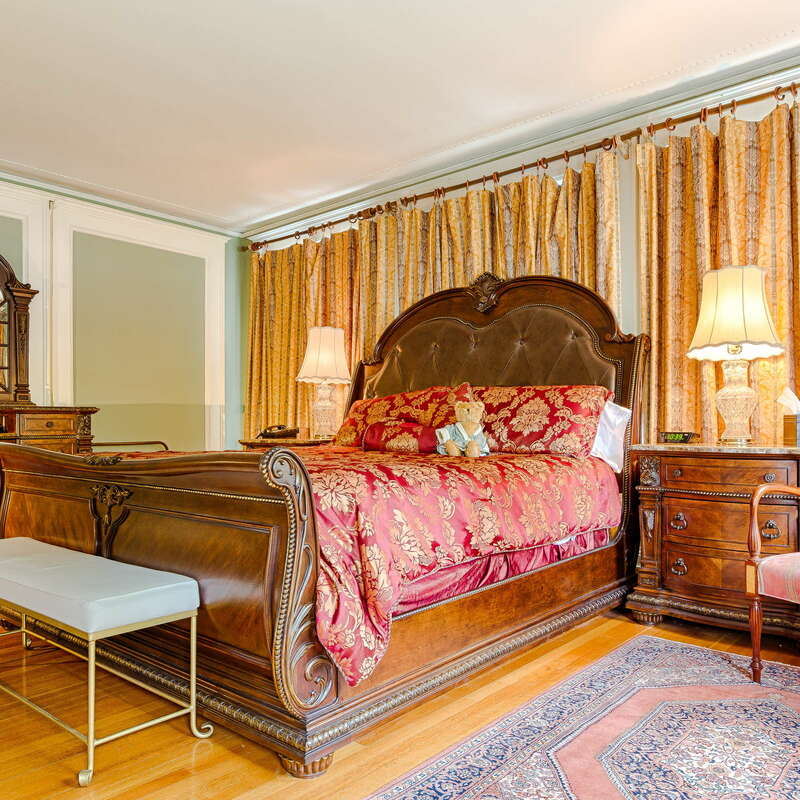 Expect to find period details including sleigh beds and carved chests, along with updated touches such as working gas fireplaces and in-room Wi-Fi. There's a small fridge in each room, as well as TV and writing desks. Traveling with the family? 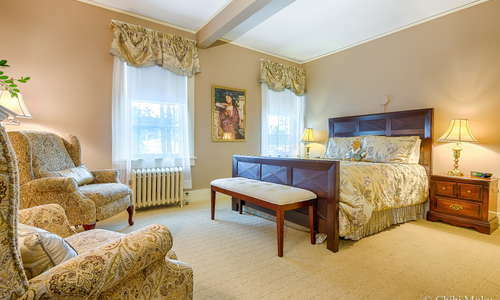 Ask if the Opehlia suite, which boasts two connected rooms, is available. Updated and modern with a nod to the cottage's original style, the bathrooms are spacious and stocked with high-end soaps and lotions. Staying in winter? The room has separate heating controls to ensure a shower or long soak in the tub is toasty. 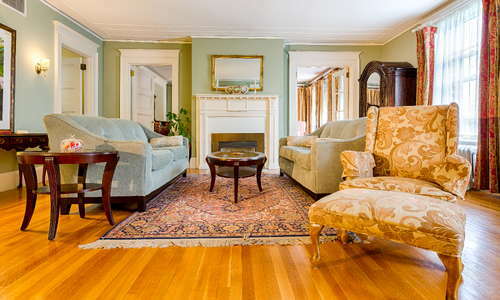 Lounge on comfy sofas with a cup of coffee or tea and pass time with one of the many board games or books. On weekend evenings the lobby and lounge are transformed into a mellow jazz piano bar with live performers. In summers the crowd overflows in the lounge area, as it's one of the only places for post-performance cocktails and late-night snacks. 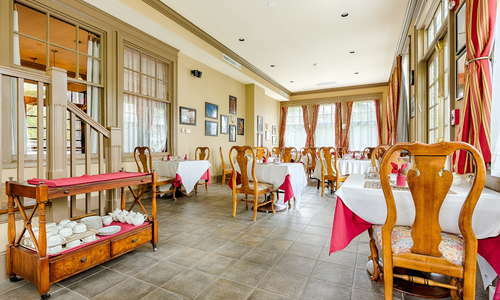 While the inn is open year-round, the restaurant is open May through December. The chef prepares seasonal entrees, using as much local produce as possible. You'll feast on succulent soups, hearty entrees as well as lighter fare. There's always at least one vegetarian dish on the menu, which is tasty enough to satisfy even meat eaters. YOU SHOULD KNOW The restaurant is Kosher-style, meaning there's no pork or shellfish, but you probably won't notice while indulging in expertly crafted dinner and dessert. They will also accommodate special dietary needs, just ask in advance. Take a seat at the small bar for the Berkshire's largest collection of whiskeys. Find nearly 200 varieties that range from singe-malt to rare bottles. You can also imbibe in local craft beers, seasonal cocktails and an extensive wine list that offers vintages from around the world. If you want to try Israeli wines, this is the place in Western MA to do it. The owners, who previously lived in Israel, hand select a large selection of reds and whites from the up-and-coming wine region. 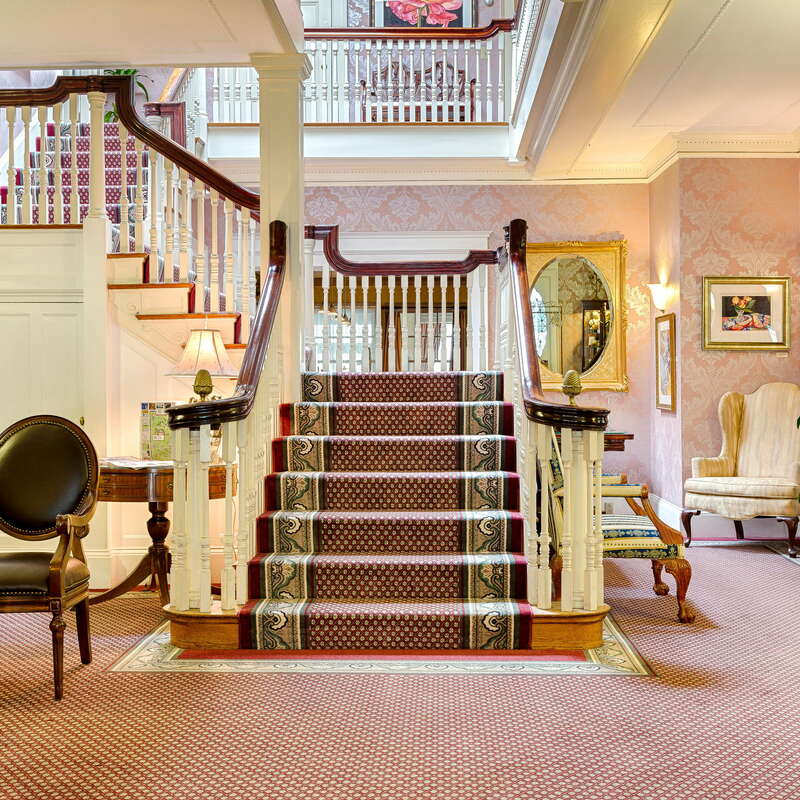 You'll need a car to maneuver around the Berkshires, but once at the inn, it's an easy walk to Main Street shops and restaurants, as well as the nearby performing arts centers. Haven (7-minute walk) is the perfect spot for breakfast, lunch and weekend brunch. Choose from overflowing egg dishes, freshly baked pastries or gourmet sandwiches. 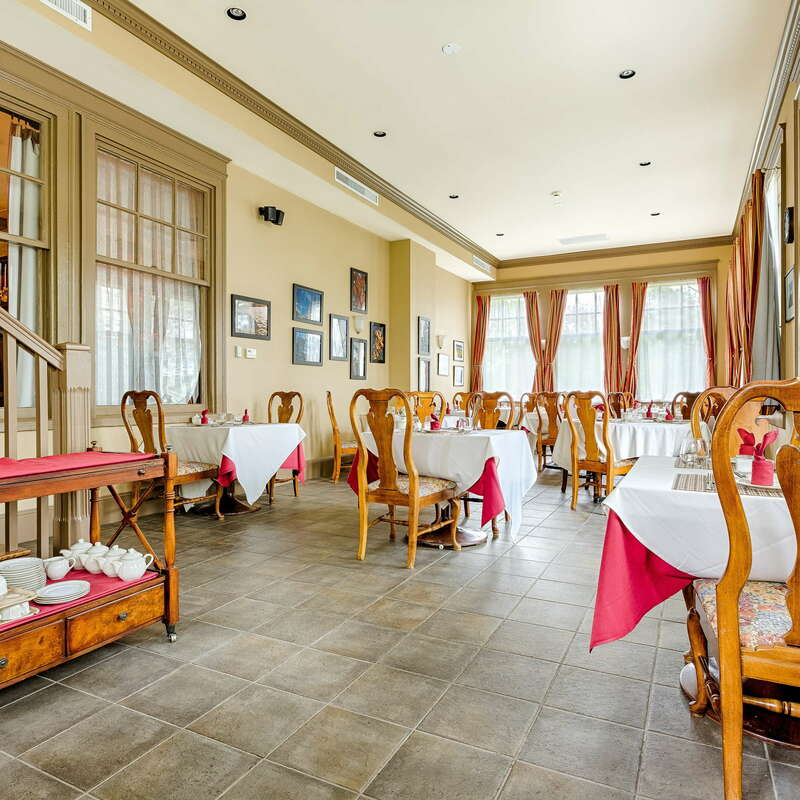 For an upscale twist on Italian dinner favorites, Cafe Lucia (6-minute walk) uses locally-sourced ingredients for their Mediterranean menu. They also boast a large wine list. For modern French, head to Zinc (6-minute walk) which serves up a classic bistro menu for lunch and dinner in a refined, yet relaxed atmosphere. Sip wine by the glass or linger over a bottle at the upscale Alta wine bar and restaurant (6-minute walk). The casual Old Heritage Tavern (7-minute walk) serves up pints of beer alongside favorite bar munchies like burgers, chowder, and pub fries. Firefly Gastropub (5-minute walk) comes highly recommended by locals for the large selection of beers including local craft brews, imports, and a long list on tap. There's also a large wine menu and tapas-style snacks. Innkeepers Michele and Eiran Gazit add loads of personal touches to stand out in a town overflowing with historic inns. 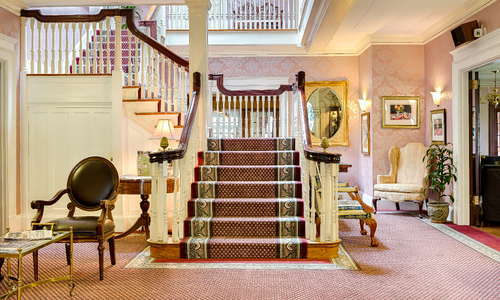 There's chocolate in the room, fresh squeezed orange juice at breakfast, and they are full of advice on what to see and do in and around the Lenox. Be sure to ask them about the history of the Procter Cottage and they will regale you with tales of the century-old structure. $$$$ &middot; Lenox &middot; 16 Blantyre Rd. 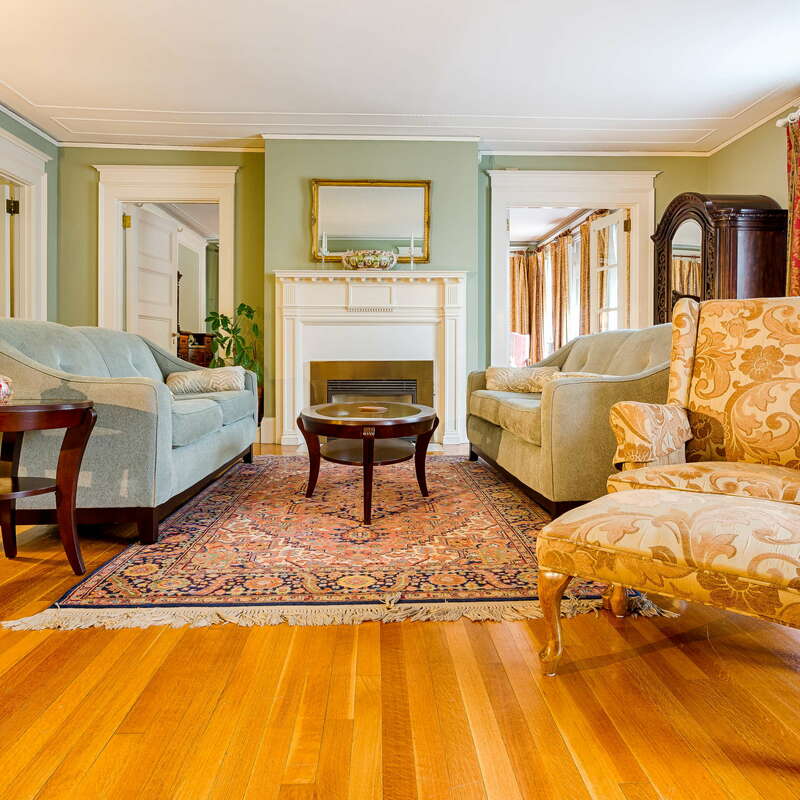 $ &middot; Lenox &middot; 15 Hawthorne St.
$ &middot; Lenox &middot; 5 Greenwood St.
$$ &middot; Great Barrington &middot; 281 Main St., 3rd fl. $ &middot; Great Barrington &middot; 518 S. Main St.
$ &middot; Hancock &middot; 37 Corey Rd.